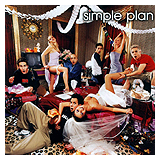 The history of Simple Plan started in the middle of the 90s, when drummer Chuck Comeau and singer Pierre Bouvier met in high school and formed a friendship thanks to their common obsession with music. Later on, they and their fellow friend Jean-Sebastien, were approached by their music teacher, who suggested they formed a band. After forming Reset [read more], the three friends became more and more known around Montreal and even recorded a first record (1997) and started touring across the whole Canada opening for various bands. But due to constant arguments with Pierre, Chuck decided to leave Reset and focus more on his studies. After the falling-out, Chuck’s old friend from high school – guitarist Jeff Stinco – contacted him, convinced him not to give up on music and the two decided to start a whole new project. The band needed another guitarist and someone to sing back vocals, so after many try-outs, they contacted another old friend of theirs – Sebastien Lefebvre, who also used to go to the same high school, was a huge fan of Reset, and lived in the same neighbourhood, to join the band. They were still missing a very important person though – the lead singer. Meanwhile, Pierre started being dissatisfied with Reset, where he had to handle way too many things. It wasn’t until he met his old friend Chuck at a concert one night that they decided to rekindle their friendship. Pierre and Chuck decided to put the past behind them and Pierre finally agreed to join the newly formed band. At that point however he was still oficially a member o Reset and his bandmates had no idea he was planning on leaving them – an definitely not leaving them to start a new project with Chuck, who he himself threw out of Reset before. At one point, Pierre used to go to Simple Plan rehearsals in secret, but eventually he confessed to everything and left Reset for good. The guys started creating pop-punk songs and sending out letters to record labels to get signed. Chuck then called about 55 record labels in the States, pretending to be Simple Plan’s manager (and using his mother’s surname) and lying about how big Simple Plan already are, selling out venues etc. After many unsuccessful phone calls, Chuck finally got through to Andy Karp, who was the A&R manager for Atlantic Records. 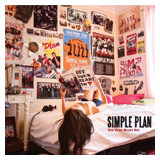 Andy Karp listened to Simple Plan’s demos, enjoyed them, but still wasn’t completely convinced. 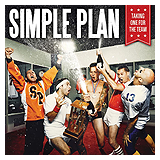 On January 22nd 2000 the band played the very first show under the name “Simple Plan”, still as a quartet. After showing themselves to Andy Karp from Atlantic Records, the band was advised to find themselves a fifth member – a bass player, so that Pierre could concentrate more on being the lead singer – and not having to handle the bass as well. After seeing Reset play without their former members (now in SP) but with a new addition: David Desrosiers, the members of Simple Plan knew he was the right person for the job. In secret they asked David to check them out and offered him a spot in their band. He finally joined the band around May 2000. First Simple Plan show with David took place on February 3rd 2001. Continuing their hunt for a record label, the band decided to pursue Andy Karp again. Thanks to their friend, Patrick Langlois, who then worked for the local record label Aquarius, Simple Plan found out that Andy Karp was heading to Montreal to see a band called “Rubberman” with hopes to sign them after that, so they called him to check them out that night as well. 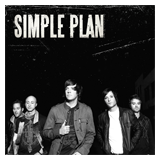 The members of Simple Plan had only a few days to quickly set up a secret show in Montreal on the same night as Rubberman played (February 8th 2001) – and for the cover-up, Chuck had to choose a fake name for their band – “Touchdown” – so that Rubberman wouldn’t know it was them and Patrick wouldn’t lose his job. Patrick played another big role that night when he kept informing Chuck about Andy Karp’s every step and about how the Rubberman show was going. After a not-so-persuading performance, Andy Karp headed to see Simple Plan, who convinced him 100% this time. The next day, Andy Karp confirmed to Simple Plan’s management that Atlantic would officially sign them. 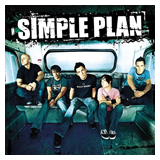 Ever since their formation in 2000, Simple Plan have released the following albums – the first one in 2002 – “No Pads, No Helmets…Just Balls”, the second in 2004 – “Still Not Getting Any”, the third one in 2008 – “Simple Plan” (a self-titled album), the fourth one in 2011 – “Get Your Heart On!” and fifth album in 2016 – “Taking One For The Team”.